If poppies on Remembrance Day carry symbolic force in your own part of the world, you might find this controversy engages your class in discussion on topics linking sense perception, language/symbolism, intuition, memory, and emotion as ways of knowing: for example, the nature of symbolism, the intersection of personal knowledge and shared knowledge, the effect of ambiguity on socially shared knowledge, and the role of perspectives in interpretation and exchange of knowledge claims. A broader discussion on the meaning of Remembrance Day symbols and ceremonies is also likely to raise ideas relevant to history as an area of knowledge. In my country, Canada, an analytical discussion of the poppy demands some sensitivity; the symbol carries intense personal associations for many individuals (personal knowledge), and carries patriotic associations for the larger public. 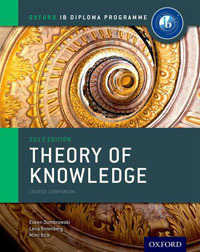 Yet, in my own mind, it’s the emotional intensity that makes it particularly valuable to discuss in a safe TOK context, where we understand that examining meaning is not a disrespectful activity, and where we recognize that considering a range of perspectives can enlarge our own grasp of what is going on as “shared knowledge” is created within a social and political community. If you have any further thoughts on how the Remembrance Day poppy stirs ideas or questions relevant to Theory of Knowledge, I welcome your comments with the “reply” below! This entry was posted in IB Theory of Knowledge and tagged emotion, history, memory, personal knowledge, perspectives, shared knowledge, symbolic representation. Bookmark the permalink.